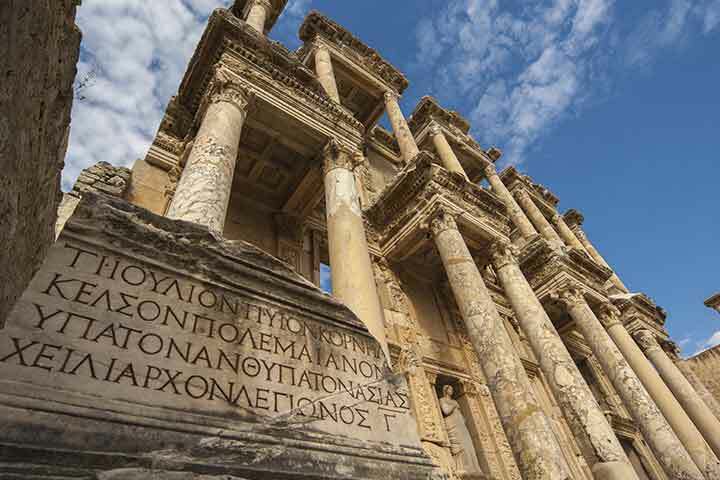 This Ephesus tour will take you along the history of Mothers of Anatolia, legends of long gone heroes, Biblical stories and wonders of the ancient world blend together from the Neolithic Age and on until today. 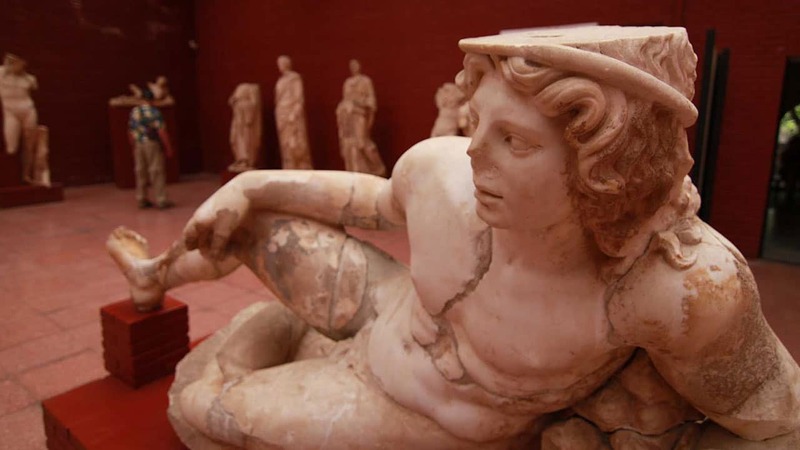 Feel the energy and the strength of a mighty ancient city; this is the capital of the Asia Minor Province of the Roman Empire and the house of Temple of Artemis, one of the Seven Wonders of the Ancient World. See the Celsius Library -modern-day symbol of the city, well adorned Roman Temple of Hadrian, the heated agoras where political, philosophical, spiritual and social debates went on and immense amounts of commercial activity brought in more wealth every day. Be fascinated by the splendid decoration and the modern facilities in the Terrace Houses of the upper class, walk the well preserved broad marble streets, see the state buildings and one of the best preserved ancient theaters in the world. 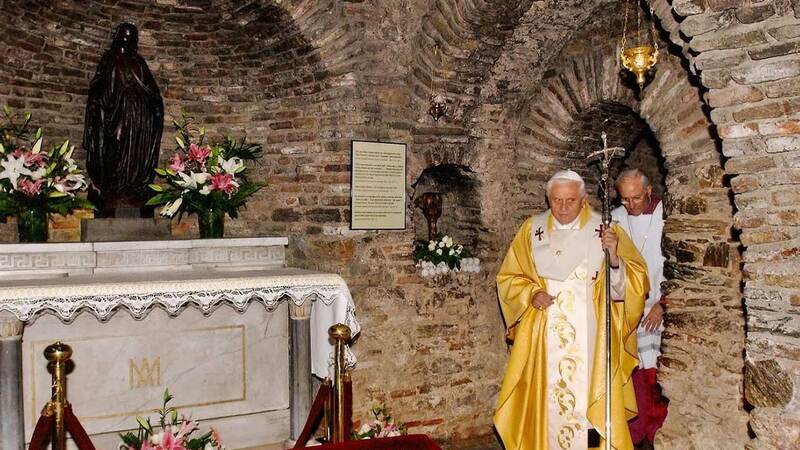 Visit the world famous Selcuk Museum in the town, Isa Bey Mosque, Basilica of St. John and finish the tour day with a memorable visit to Virgin Mary House. A day in the area is an enchanting trip to the long past and you will be amazed by the grandeur of the structures and the level of civilization they had achieved. 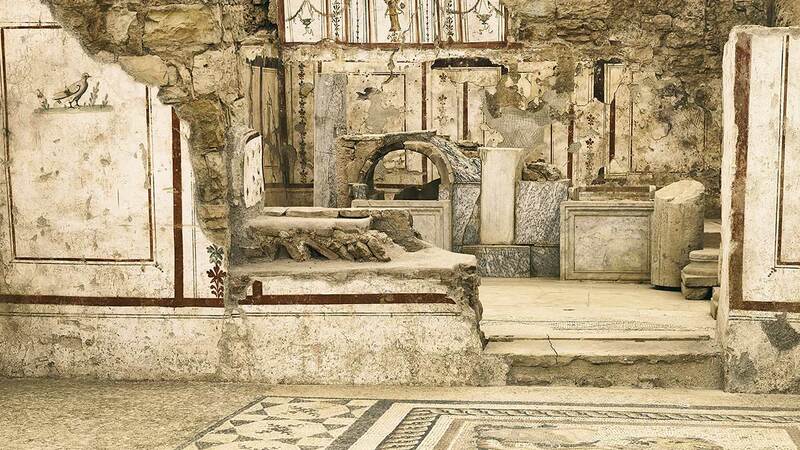 You will be informed by your knowledgeable and experienced guide as you walk the marble streets that Ephesians strolled once upon a time and soon it will make you one of her own. Upper city, the administrative section of the city contained the State Agora, adjoining Odeon, Prytaneion, and the Market Basilica. Still intact marble Curetes Street will take you downtown among fancy shops of the time on both sides and by the fascinating Terrace Houses. Being the residential area for the upper class, these houses showed all the wealth, pride and knowledge that provided the extraordinary art and top house facilities of the day but at times could go a little pretentious and extravagant too. 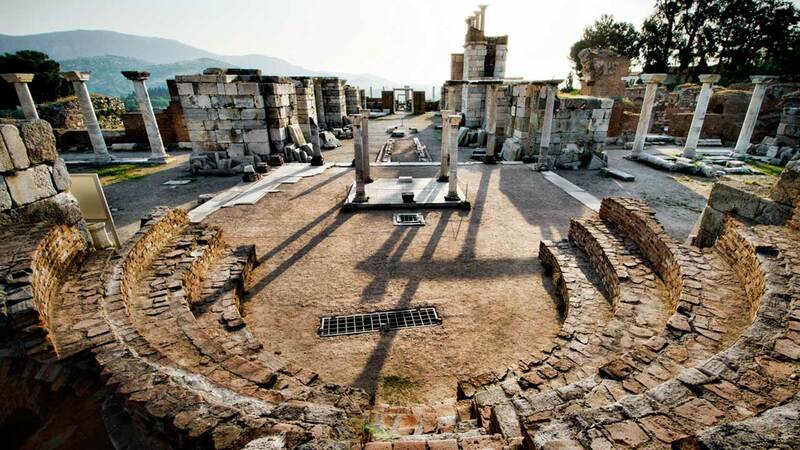 The houses are naturally in close vicinity of the beautiful Trajan Fountain, Temple of Hadrian and the Scholastica Baths. But a small building, Latrine, is the place where most fun happens nowadays. 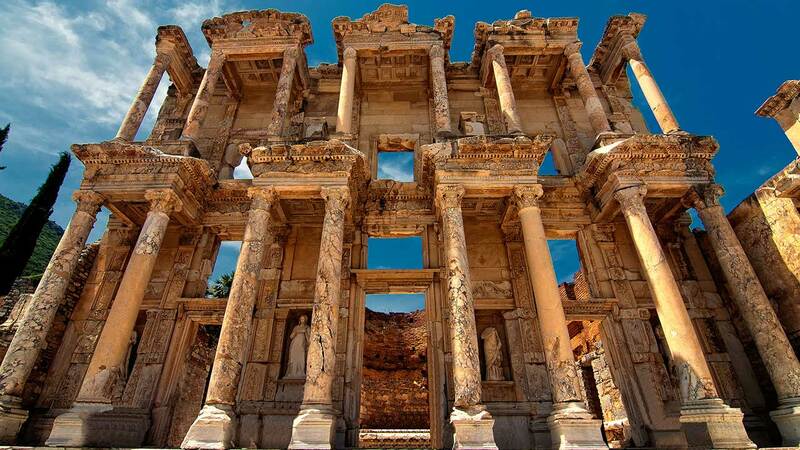 You are now facing the worldwide known the beautiful symbol of Ephesus, the Library of Celsus which in fact is the monumental tomb of the Roman governor Tiberius Julius Celsus Polemaeanus who financed the library himself. It is located in the heart of the city where two main streets meet and just next to the Commercial Agora. The facade completely reconstructed from original pieces with a long and careful work gives us a glimpse of the magnificence of the day. It is a perfect location to have a photo break and explore the neighborhood, taking pictures and videos that you will enjoy for a lifetime with your beloved ones. The impressive Grand Theater at the end of the Marble Street overlooks the harbor area which is now 6 km. inland and is also well known with a big riot in history. Because it had the most important attraction in the ancient world, the Artemis Temple that brought large numbers of people and business into the region, the fear of losing it after Christianity was equally large and they opposed St. Paul strongly. 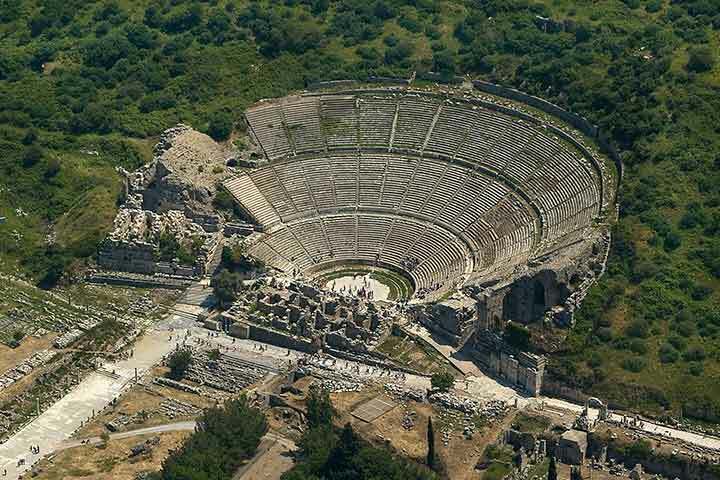 Like all our other tours, Ephesus is also fully customizable to match well with your travel type and interests.